The British Olympic Association is within its rights to ban drug cheats from the Olympics for life, according to the International Olympic Committee. 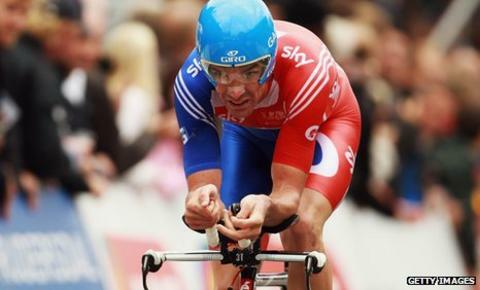 The BOA's ban was recently declared "non-compliant" by the World Anti-Doping Agency (Wada). The IOC said: "The BOA has been deemed non-compliant on a technicality rather than any unwillingness to fight doping. "This ruling will have absolutely no effect on British athletes competing in London [at the 2012 Olympics]." The governing body for the Olympics added: "It is important to make it clear that the anti-doping agency in the UK - the UKAD [UK Anti-Doping] - is fully compliant. "We are confident that the BOA and UKAD will do their utmost to ensure clean British athletes will compete in London." The BOA is now the only national association to impose a lifetime Olympic ban on athletes suspended for more than six months for a doping offence. But Britain's Jessica Ennis, the former world heptathlon champion, believes "it should be one rule for everyone across the world". "It's not for us athletes to decide," she said. "It's down to the BOA and Wada but hopefully they'll make the right decision and we can move forward." In October the Court of Arbitration for Sport (Cas) ruled that the IOC's own doping rule, which had barred offenders who had received bans of longer than six months from competing in the next Olympic Games, was unenforceable. That allowed Olympic 400m champion LaShawn Merritt to overturn a ban that prevented him from competing at the 2012 Games, enabling him to defend his title in London next year. New Zealand and Canada have since dropped a ban similar to the IOC's, and it looks increasingly likely that the BOA will have to take its case to Cas if the British ban is to remain. Wada director general David Howman said: "I would think people would say it is a bit disappointing that the BOA was determined to be non-compliant, but this is a technical issue. "We have to be fair the result of the Court of Arbitration decision in October, which is only six weeks ago. While we've had the opportunity to consider it, I guess the BOA hasn't considered it in the same way. "Upon receiving the notification [non-compliance], the signatory [BOA] has the right to appeal to Cas. They have the opportunity to consider if they wish to do that, appeal the decision of non-compliance."